We are one of the leading patient care facilities in the nation. For our residents that require long-term or even short-term care we offer an extensive inpatient care program. Our facility and our staff are fully-equipped and able to assist you with treatment following hip replacements, knee replacements, strokes, trauma and more. We take great care in determining how much assistance each resident needs with activities of daily living such as eating, dressing, bathing, toileting, and transferring. We then create a plan of care for each resident that is specific to that resident’s needs. As a part of our inpatient program we have a wide variety of services that are offered, such as dietary services, daily activities, nursing services, social services, laundry, housekeeping, maintenance, therapy services, and we have a licensed beautician that comes to our in-house salon four days a week. Let our professional nursing staff handle making doctors appointments, ordering/administering medications, and arranging transportation while the activities staff offer unique activities to keep you entertained as well as stimulating the mind and body.Our compassionate in-house social worker is readily available to handle any general living concerns as well as work to improve the quality of life and maximize the potential of each resident. We also have a Nurse Practitioner in the facility five days a week to handle any acute health issues that might arise. Our short stay curriculum is designed around the Medicare guidelines that patients in this program should require skilled nursing services (therapy) for one hundred days or less. Our facility and our staff are fully-equipped and able to assist you with treatment following major surgery (hip/knee replacements, heart surgery etc) strokes, trauma and more.We have a therapy department complete with state-of-the-art weight and exercise equipment and private treatment rooms.We have partnered with Mid South Rehab Services for nearly 15 years in order to provide our patients with the best therapists and equipment in the business. Let our knowledgeable therapy team work collectively to create a specific plan of treatment for you. Our ultimate goal is to have our patients functioning at their highest level and able to live independently at home. As a part of our inpatient program we have a wide variety of services that are offered, such as dietary services, daily activities, nursing services, social services, laundry, housekeeping, maintenance, therapy services, and we have a licensed beautician that comes to our in-house salon four days a week. 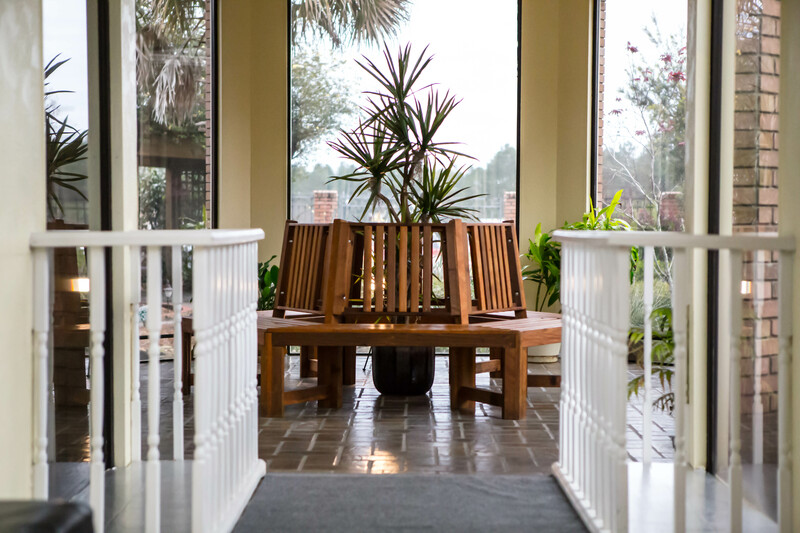 We accept Medicare, private insurance and private pay in our short stay program. Call our Business Office today with any questions. 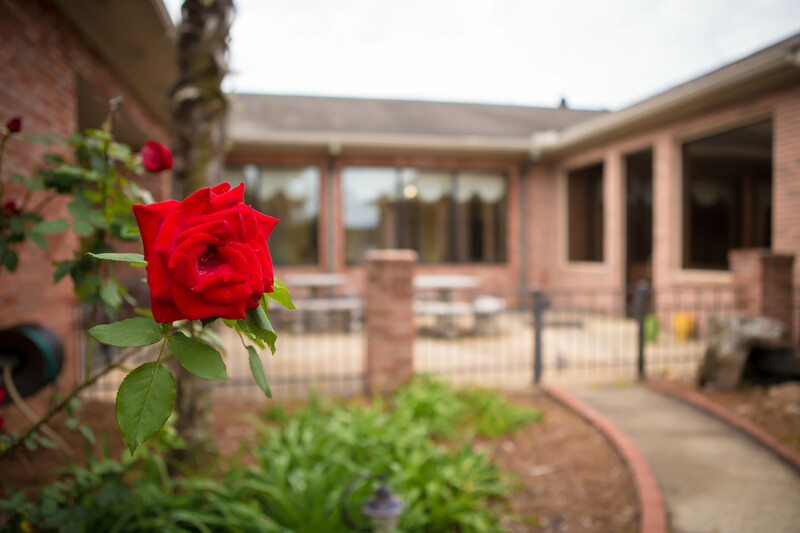 For our residents that are looking for long-term care, we offer an extensive inpatient care program. We take great effort in determining how much assistance each resident needs with activities of daily living such as eating, dressing, bathing, toileting, and transferring. We then communicate with your doctor about medications, diet, and any other orders he might have for you. Finally, we create a plan of care for each resident that is specific to that resident’s needs. As a part of our inpatient program we have a wide variety of services that are offered, such as dietary services, daily activities, nursing services, social services, laundry, housekeeping, maintenance, therapy services, and we have a licensed beautician that comes to our in-house salon four days a week. Let our professional nursing staff handle scheduling doctors’ appointments, ordering/administering medications, and arranging transportation while the activities staff offers unique activities to keep you entertained as well as stimulating the mind and body. Our compassionate in-house social worker is readily available to handle any general living concerns as well as work to improve the quality of life and maximize the potential of each resident. We accept Medicaid, long term care insurance and private pay in our long term care program. Call the Business Office today with any questions. The Grove Outpatient Therapy Clinic was opened and fully operational in July, 2010. Whether it is physical, occupational, or speech therapy that you require, our highly trained group of therapists is capable of providing all your rehab needs under one roof. With our diverse group of therapists we are able to treat an unlimited array of diagnosis including but not limited to orthopedics, neurological, pediatric (ages birth to 12), pain management, dysphasia (swallowing problems), and wound care. We have a gym that is well equipped with state-of-the-art weight training and exercise equipment, as well as a full size kitchen and bathroom where we are able to do “home-like” training in order to get our patients back at home and living independently. 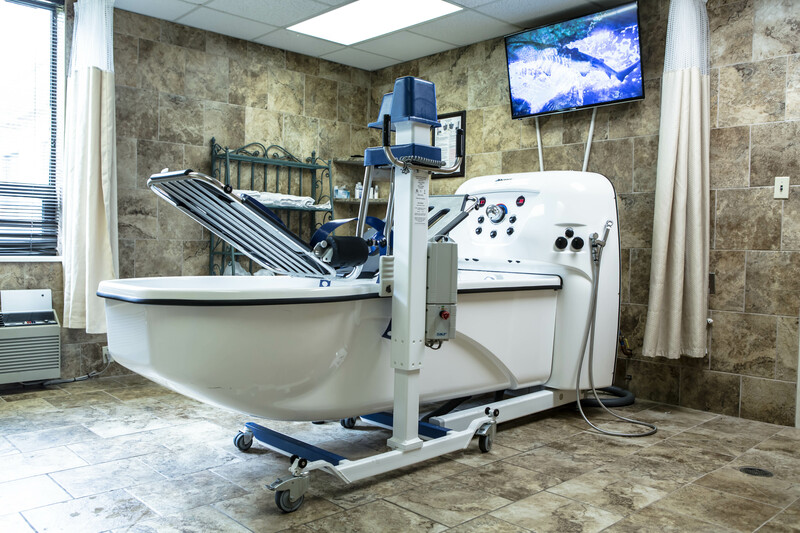 We also have three private treatment rooms that are available for certain treatments such as whirlpool, traction, E-stim, and ultrasound. Call today and let our office manager answer any questions, as well as verify insurance and handle any scheduling you might need. It is our mission at The Grove Outpatient Therapy Clinic to use the talents and gifts that God has given us as therapists to rehabilitate and improve the quality of life for the children, adults, and elderly of our community in a loving and compassionate manner.